Where do I even begin with these two? Danielle has been one of my best friends since the day we started college together 6 years ago. This girl has been by my side through the worst of days in physical therapy school and standing by me as I married my husband. 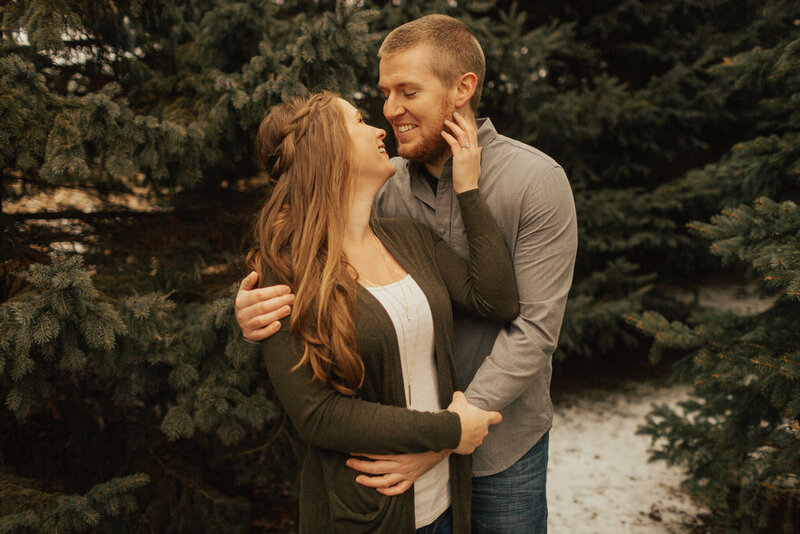 Exactly one year from my wedding day, she is getting married to her love, Caleb! So freaking excited to share a wedding anniversary with these two. Caleb is hysterical, kind, and dang does he love my girl, Danielle. I was so incredibly honored to photograph such a special time in their life and brave the cold with them. Thank you Caleb and Danielle for being the most amazing humans. I love you both so much and cannot wait for the next year of wedding festivities and fun! The biggest thank you and shout out to Knockout Beauty by Kristi for doing Danielle’s gorgeous hair and makeup. This girl is crazy talented and the sweetest! Be sure to check her out!